For local rock fans, watching SubRosa quietly come to an end in early 2011, even as their freshly produced album made waves across the country, was a heartbreaking moment. 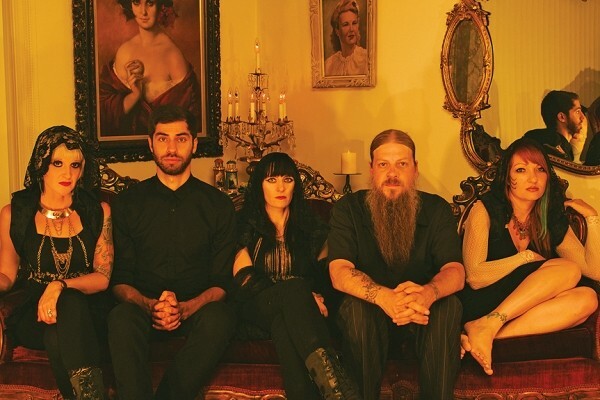 But now, 2 1/2 years later, the female-fronted doom-rock band is reformed, with a new album, More Constant Than the Gods, out Sept. 17—the album-release show will be Oct. 16 at Bar Deluxe—to heal fans’ hearts. SubRosa listeners weren’t the only ones affected by the breakup that came on the heels of the release of the band’s fourth full-length album, No Help For the Mighty Ones, in 2011. “I felt pretty lost and actually spent a lot of time wondering if I had made the wrong decision to dedicate so much of my life to music,” says SubRosa frontwoman Rebecca Vernon. No Help For the Mighty Ones sold well with the Canadian label Profound Lore and earned nods from two of the stingiest music-critic outlets, Pitchfork and Decibel, making it onto both their Top 40 lists for the year. But by that time, the band had already come apart over disagreements; the lineup that made the album disbanded after the official SLC release show in March 2011. But even with side projects and solo shows, Vernon wanted to return to the band she had created. Roughly six months after SubRosa’s last show, Pendleton reached out to Vernon to get the ball rolling again, and after long consideration and a chat with Pack, the trio sought out replacements for the rhythm section and began practicing and writing new music in April 2012. Drummer and producer Andy Patterson agreed to come on board after promising Vernon he would play for SubRosa if she ever needed a studio drummer. The newest member was Oregon transplant Christian Creek on bass, a fan of the band who relocated to Salt Lake City and got an audition with the group. Putting More Constant Than the Gods together was one of the most difficult and rewarding moments for the group, which worked for months with few breaks on writing the music for each song, most of which go well past the 10-minute mark. The writing process on the music alone took more than six months before the band hit Patterson’s studio in spring 2013 to record the album. If No Help For the Mighty Ones was a raging storm tearing through the countryside, More Constant Than the Gods is the perspective of those who survived in the wreckage left behind. In some ways, the lengthy six-track album is a growth from SubRosa’s last incarnation; it pays tribute to the sound that garnered the band’s national attention, while moving on in a new direction that will cause anyone who ignored them last time to pay attention. Songs like “Fat of the Ram” and “Affliction” show Vernon’s intricate dissection of guitar riffs, the clever dual violins between Pack and Pendleton, and vicious pounding from Patterson and Creek on every chord. But the true secret of this album, the one that will keep listeners coming back, is the vocal harmonies. It’s rare in most rock standards, let alone doom, to have three women as a prominent centerpiece for the majority of an album. These three rock sirens create an angelic tone that pulls you through the barrage of sound, most prominently on tracks like “Cosey Mo” and “The Usher.” More Constant Than the Gods wasn’t just created to be listened to, it was meant to be experienced, over and over, until your ears bleed.